Kerala Public Service Commission is decided to conduct an Examination in the following scheduled. Candidates can prepare for the JUNIOR INSTRUCTOR (OPERATOR ADVANCED MACHINE TOOLS) Examination, which is scheduled on the following date in various districts. Candidates can download the Admission Tickets through their One Time Registration Profile in the Website www.keralapsc.gov.in. Detailed Kerala PSC JUNIOR INSTRUCTOR (OPERATOR ADVANCED MACHINE TOOLS) Examination schedule is available below. 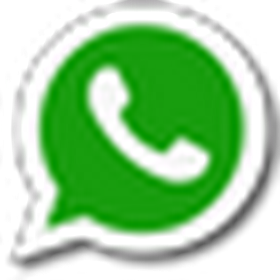 1) It may be noted that apart from the Main Topics in the Syllabus referred to in the Examination Pro- gramme, questions from other topics related to the educational qualifications prescribed for the post may also appear in the question paper. There is no undertaking that all the topics mentioned under the sub head “Main Topics” may be covered in the question paper. Candidates who fail to produce Original Identity Proof will not be permitted to attend the examination. WARNING :- Admission ticket will not be generated for candidates who fail to submit their confirmation on or before the date and their application for this post will be summarily rejected. 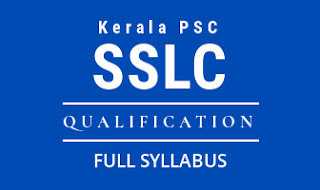 Candidates who successfully submit their confirmation on or before the specified date can download the Admission Tickets through their One Time Registration Profile in the website www.keralapsc.gov.in from the specific date. മുന്നറിയിപ്പ് :- അപേക്ഷകർക്ക് ഒറ്റത്തവണ രജിസ്‌ട്രേഷൻ പ്രൊഫൈൽ വഴി ഈ പരീക്ഷ എഴുതുന്നതിനുള്ള സ്ഥിതീകരണം രേഖപ്പെടുത്തുവാൻ മുകളിൽ നൽകിയ തീയതിയ്ക്കുള്ളിൽ വരെ അവസരം ഉണ്ടായിരിക്കുന്നതാണ്. അവസാന തിയതി വരെ സ്ഥിതീകരണം രേഖപ്പെടുത്താവർക്ക് പരീക്ഷ എഴുതാനുള്ള അവസരം ലഭിക്കുന്നതല്ല. കൂടാതെ അവരുടെ അപേക്ഷകൾ നിരുപാധികം നിരസിക്കുന്നതാണ്. അവസാന തിയതിക്കകം സ്ഥിതീകരണം നൽകിയവർക്ക് പ്രൊഫൈൽ വഴി മുകളിൽ പറഞ്ഞ തിയതി മുതൽ അഡ്മിഷൻ ടിക്കറ്റ് ലഭ്യമാകുന്നതാണു്.